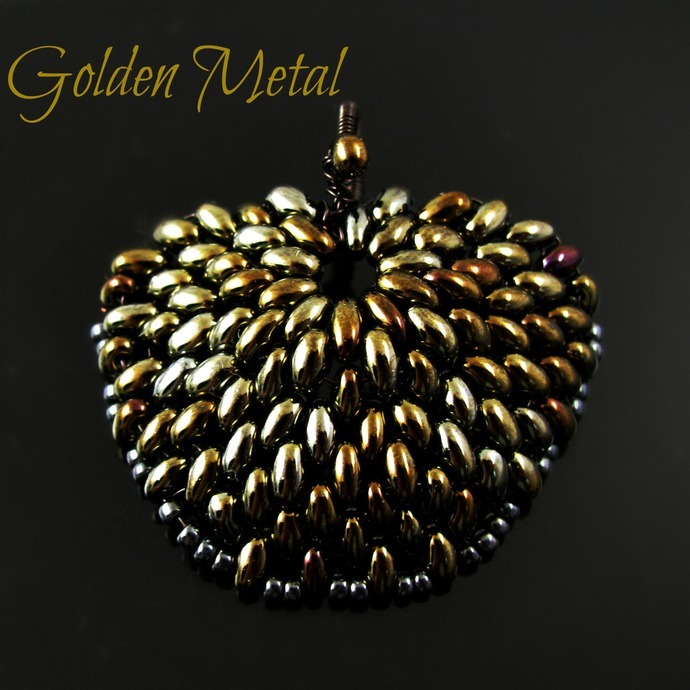 This dragon scale is like dark golden and silver metal. 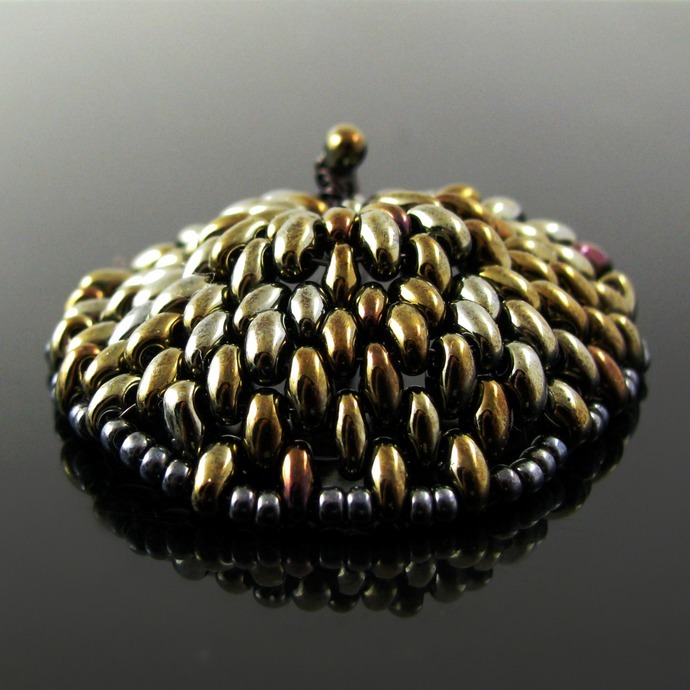 It is beaded from Twin Beads (two hole beads) on black colored copper wire from which also the hand wrapped bail with the single bead is made. Around the lower edge run gunmetal colored Japanese seed beads. It is 4 cm or 1 1/2 inch high and domed. 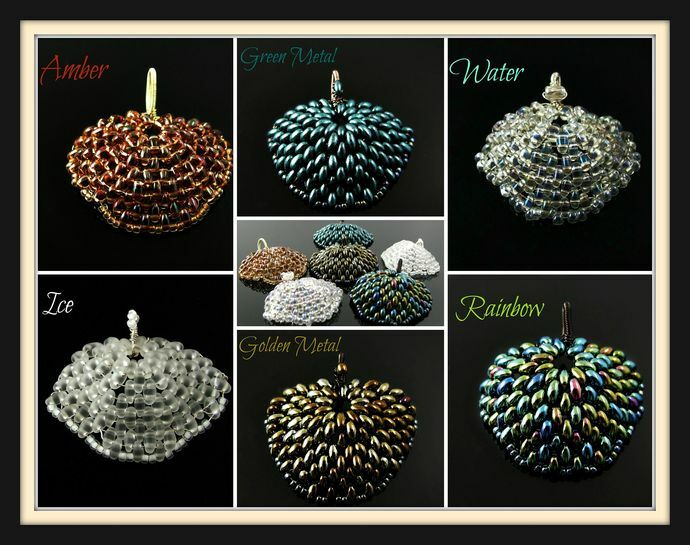 The last pictures show the other dragon scales available at the moment, you can also find them in my shop. 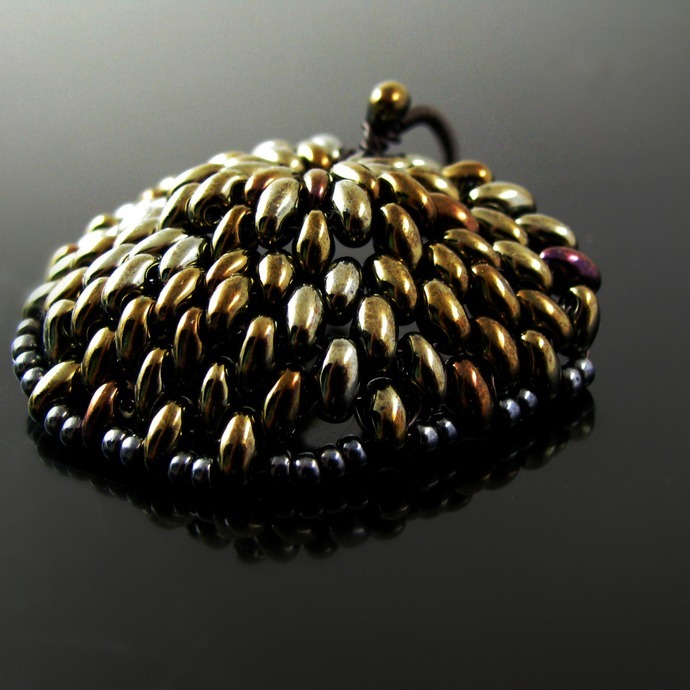 Size varies depending on the size and regularity of the beads and the bail. Even if I use the same beads, it will never look exactly the same.